This is the fifth year that 17-year-old Chloe will have a piece performed at the seminar. The home-schooled Canton student was just 13 when she had her first piece, “Winter,” performed by a string quartet. “I was so grateful to hear it come to life that way,” she remembers. She wrote her first song about a star when she was five years old. When she composes, Chloe’s strategy is to get relaxed and let the melodies and harmonies float into her mind. Her composition this year, “Reconciliation,” was written for piano trio. “Once I found the word, it fit,” she says. “It has a lot of emotions in it – longing, sadness. I always try to go for something really heartfelt that tells a story. I try to touch people.” Once she has a theme, she gets to work formatting and polishing it so it can be played by musicians. 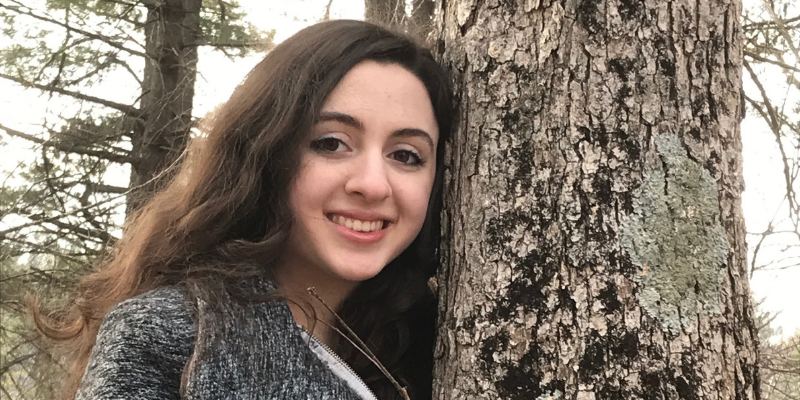 The high school junior has been a student at The Rivers School Conservatory since she became a member of the Capriccio Chorus at Rivers in fifth grade. Since then, Chloe has been taking voice lessons with Junko Watanabe at RSC which, she says, has been an amazing experience that has inspired her to be a vocal coach at a local theater. “Rivers is a great place to cultivate your passions and develop as an artist,” she says. “Most music schools don’t have a program for composers.” Dr. Stephen Halloran, chair of the RSC Composition Department, has been working with Chloe since she was in the seventh grade. “He helps me to expand my knowledge of the musical world and create a palette of techniques I can use,” she says. She appreciates how he shares drafts that famous composers made of their pieces to understand the creative process, and she admires singers such as Haley Westenra and Mairead Carlin as she looks for inspiration. 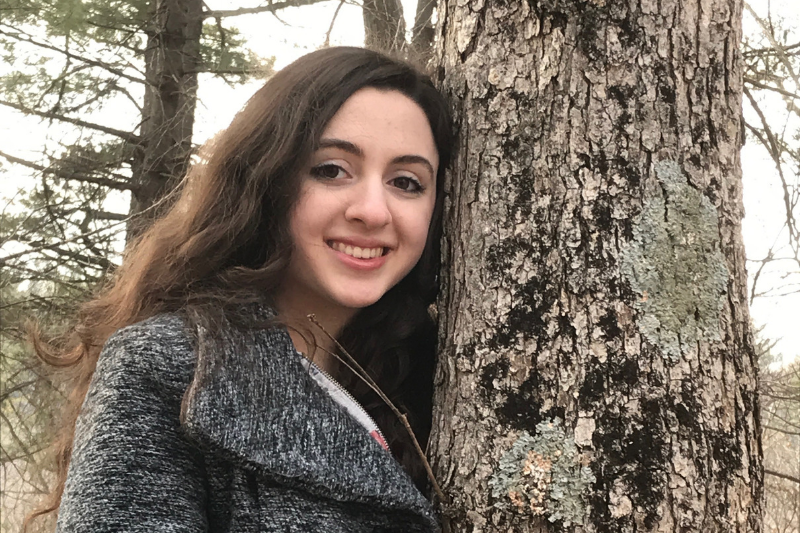 With voice as her main instrument, Chloe hopes to attend a music conservatory after high school, compose film scores, or become a singer-songwriter in the future. She will also perform a song at the seminar called “Goodnight Moon” by Eric Whitacre, based on the classic children’s book. “It’s interesting to explore something someone else has composed. It gives you a window into your own style,” she notes. Chloe has been accepted into the High School Composition Intensive (HSCI) Summer Program at Boston Conservatory at Berklee. Get your tickets for the 41st Annual Seminar on Contemporary Music for the Young, April 5-7.